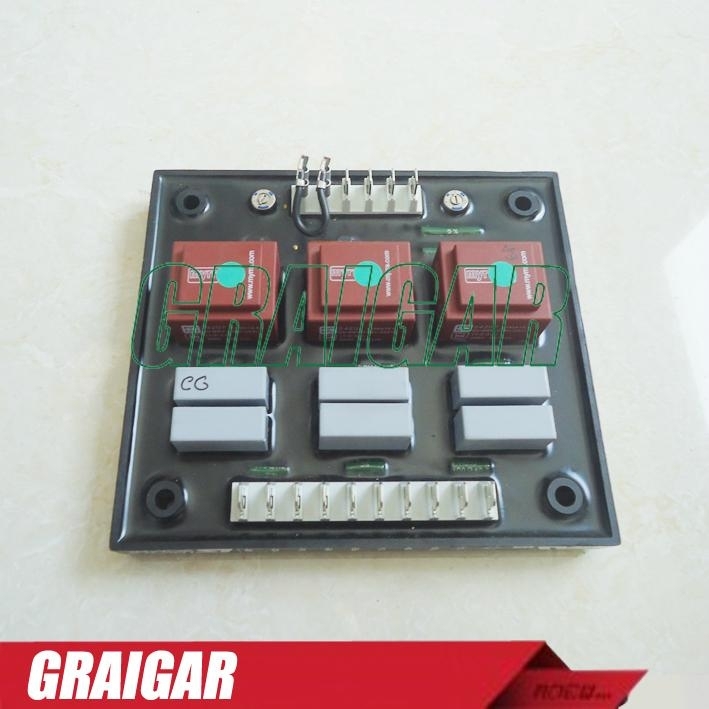 The R731 optional three phase sensing modul is designed to be used with the R438, R448, R449 single phase sensing voltage regulators.The voltage sensing is done with three 2VA single phase transformers.The R731 module is designed to be installed vertically next to the voltage regulator. 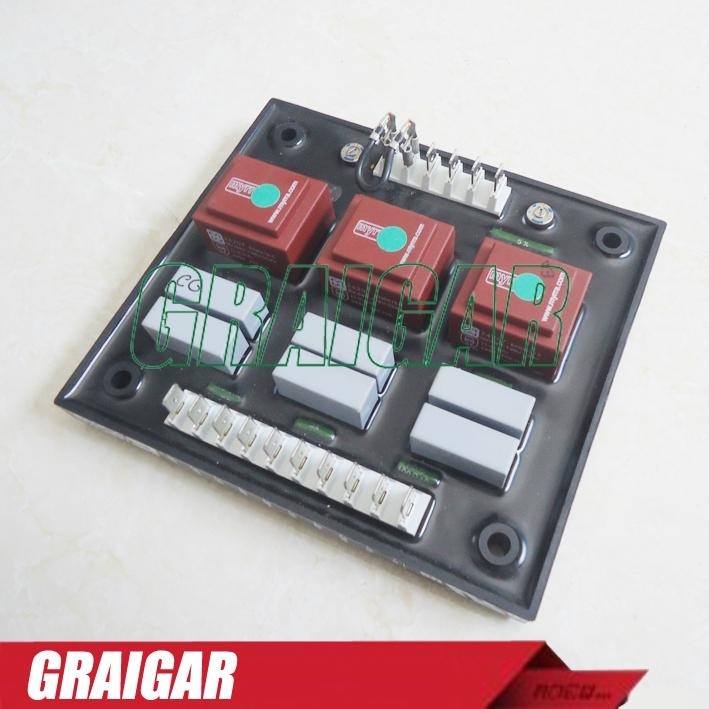 The voltage can be adjusted using the internal rheostat P1. This rheostat is designed to provide +/-5% adjustment from any voltage within the above voltage ranges. 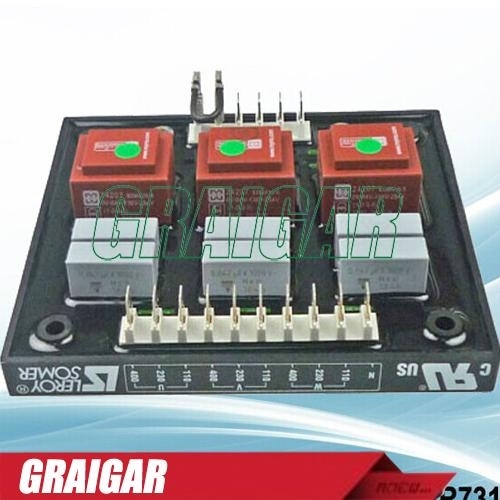 If required, remove the ST10 jumper in order to connect a remote voltage rheostat. A 470 Ohms - 3W rheostat can be used for a +/-5% voltage adjustment range or a 1k Ohms - 3W rheostat for a +/-10% voltage range. 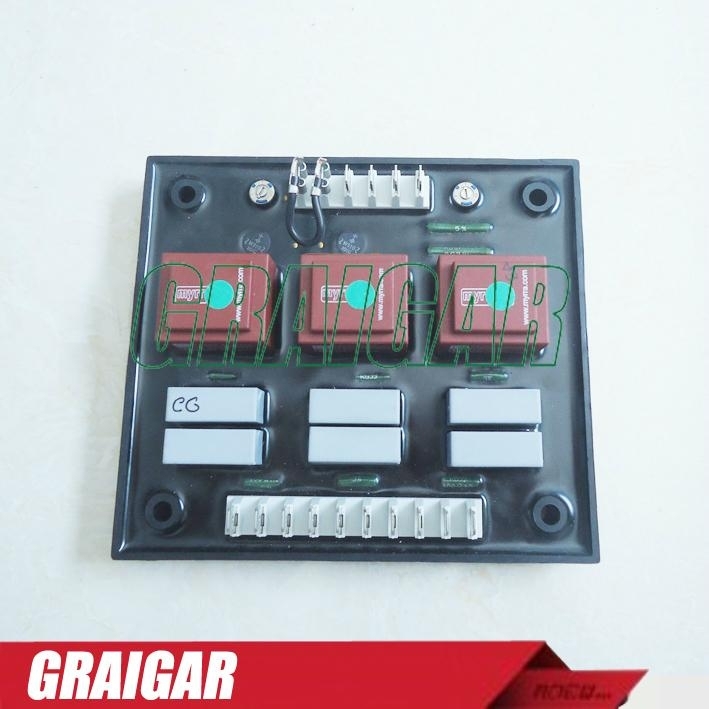 An ST1 jumper was included on older R731 modules to increase the voltage adjustment range but was discontinued. Location : standard line 1 (U), option line 2 (V). 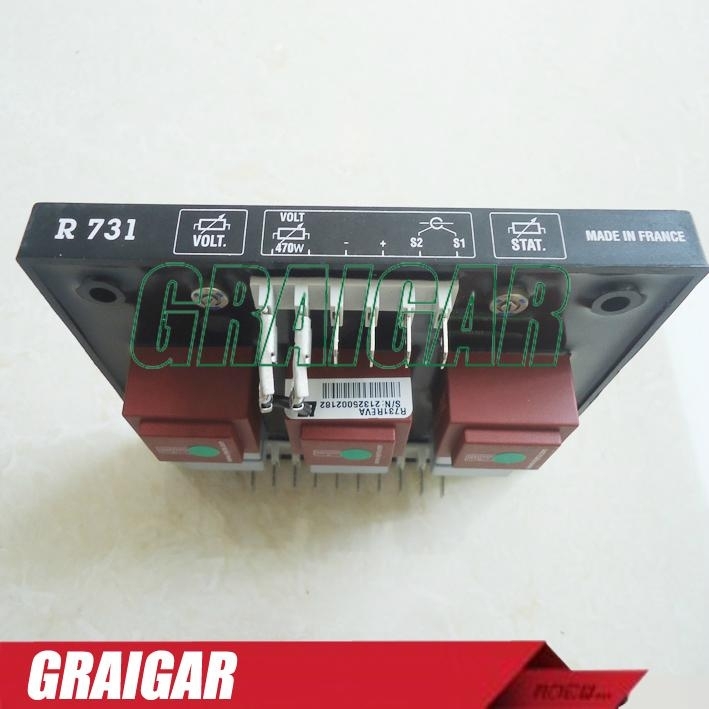 The P2 rheostat on the R731 can be used to adjust the voltage droop. 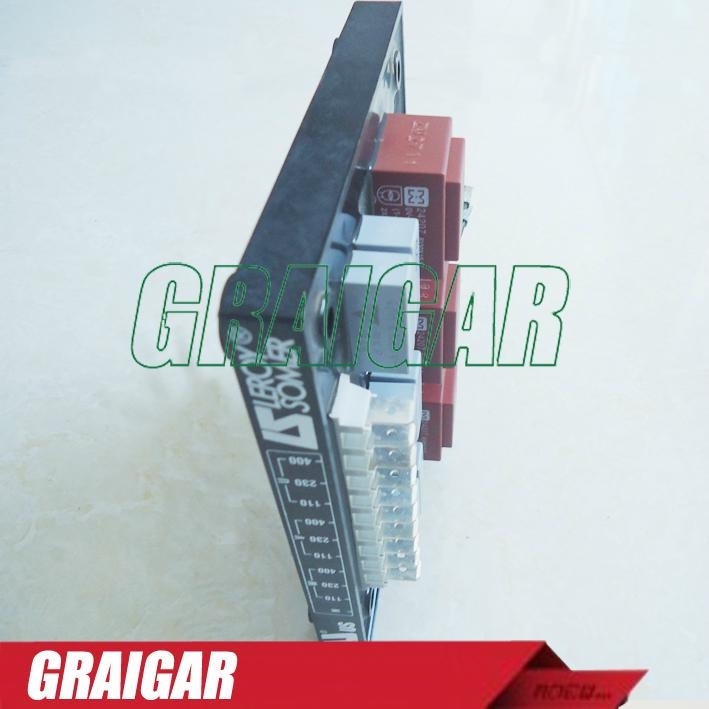 It is designed to provide a minimum voltage droop of 8% at 0 power factor and 1A from the paralleling CT.